For those of you heading to the desert for Weekend One of Coachella, which begins this afternoon, we salute you. Stay hydrated, be responsible, and all that good stuff. For those of you at home, stream live performances of Coachella from your couch here. 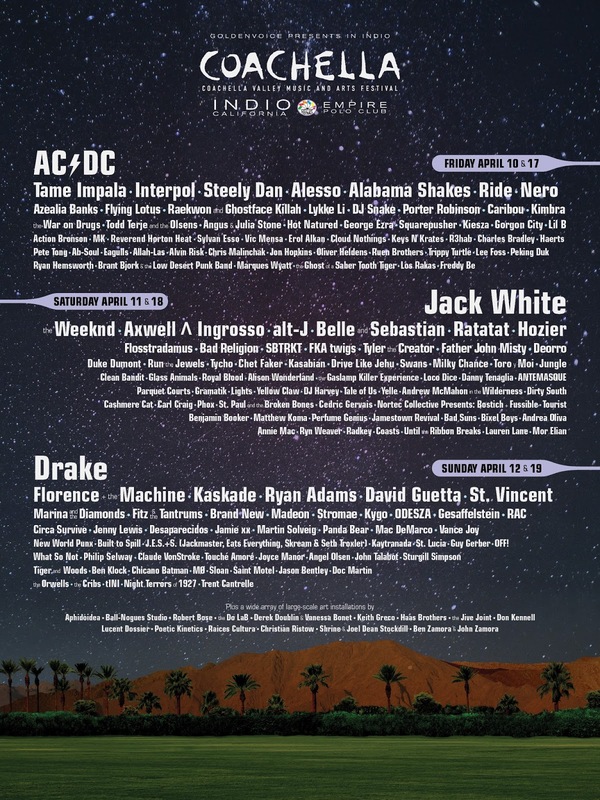 For ALL of you, below is our Coachella playlist for 2015. 20 songs! STREAM AWAY and/or subscribe here!